Seed corn maggot larvae and adult flies have been detected in early seeded zucchini squash fields in Gloucester County this week. They are most likely in other areas of Southern New Jersey. 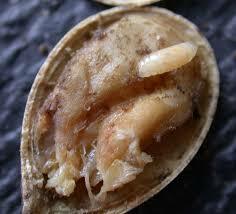 Seed corn maggots can also attack other vegetable crops like beans, peas, cucumbers, melons and sweet corn. 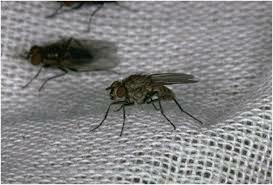 Cool and wet weather increase activity and survivability of this early season pest. When adult maggots lay eggs near the planting hole, eggs can hatch in just a few days after being laid. Maggots then can burrow into seeds or seedlings, feed for a period of 2 to 3 weeks and then develop into egg-laying adults. There can be many generations per year, but activity is heightened during periods of cool and wet weather. Other preventative methods include row covers to create a barrier between the insect pest and the seeds or seedlings, waiting to plant in the field until soils and air temperatures are warm enough to quicken germination and plant growth, and selecting fields for early plantings with low organic matter and that do not remain wet for long periods.